The words “inclusion” and “tolerance” drip from the lips of liberals like they were honey. These words are the standard of a civilized society in their value system. Or so they say. They, in fact, despise diversity. They, in fact, have no interest in inclusion. We live in a country where we know that a lack of sexual integrity is doing grave damage. We live in a country where we know that, statistically, kids turn out better in homes where they are raised by their mom dad. Yet we live in a country where the number of kids being raised in single-parent homes is the norm in minority homes, and on the rise in white America. Seems like a “Communicating Values” conference would be timely in light of all of this. “Bringing the speakers to Stanford would threaten the safety of campus for the queer population, according to Brianne Huntsman ’15, who started a Facebook event to organize a rally at the GSC meeting on Wednesday night. 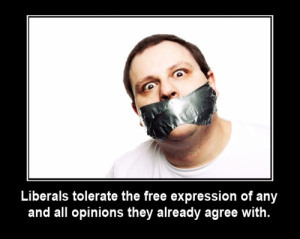 These liberal virtues are only applied when by the politically-correct crowd if they agree with you. Thanks for sharing this disappointing news. They conveniently forget that the presence of “tolerance” means that there is a difference of thought to begin wit. For example, one cannot claim to be “tolerating ” good weather. I really wonder what this country will look like when the next generation comes in. Such a pleasure to be subscribed.